This entry was posted in candle making supplies, cold process soap, Fragrance Oils, Natures Garden, Soap making supplies and tagged bath bomb recipe, best selling fragrance, best selling scent, black cherry bomb fragrance, black cherry bomb scent, black cherry fragrance, black cherry scent, candle making supplies, candlemaking supplies, cherry bath bomb recipe, cp soap fragrance, cp soap scent, fragrance leader, fragrance oil, fragrance oils, fragranceoil, free recipe, fruity fragrance, fruity scent, highly recommended fragrance, highly recommended scent, home scenting scent, hp soap fragrance, incense scent, natures garden, scent for hp soap, scent leader, scent that fills a large room, soap making supplies, soapmaking supplies, soy wax scent, strong scent after cure, sweet fragrance, sweet scent, top selling scent in products, very strong scent throw, wonderful cherry aroma, year round seller on June 26, 2014 by Deborah Ward. A wonderful, super strong scent! For the 800 plus fragrance oils that Natures Garden carries, Black Cherry Bomb Scent has long been a leader in many fragrance categories. An aroma where the cherry is downright explosive, this strong scent is not only highly recommended by our customers, but also has rave reviews too. In fact, our customers love and adore this strong scent; claiming it is a best seller in their products year round. An intoxicating and full bodied cherry scent that is absolutely delicious, this strong scent is out of this world. Considered “the best scent ever” in many reviews, this scent also works amazing as a mixer as well. What does Black Cherry Bomb Smell Like? This black cherry fragrance oil by Natures Garden will literally burn your nose hairs out..it’s so strong! A delightful cherry aroma that is not too sickening sweet. A Best Seller! An NG Original Fragrance! 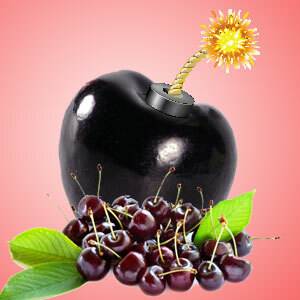 How Do Our Customers Use Black Cherry Bomb Fragrance Oil? For those of you that are home scenters or candle crafters; our customers use this strong scent in their paraffin, WOW, soy (415, 444, and 464), Ecosoya, and Joy wax candles. And, the hot and cold scent throw is terrific, quickly filling even the largest of rooms. 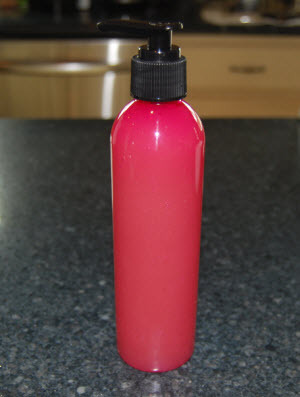 Black Cherry Bomb fragrance oil is a keeper in many crafters lines. Now, when it comes to home scenting means, this strong scent is amazing. Working extremely well, Black Cherry Bomb Fragrance is used in incense, aroma beads, reed diffusers, potpourri, electric burners, odor eliminating sprays, and smelly jellies. 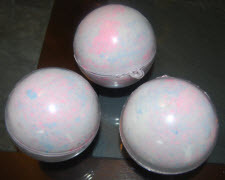 If you want to try an amazing recipe using this strong scent, please click on this link to view Natures Gardens Black Cherry Bath Bomb Recipe. This entry was posted in bath products, candle fragrance oils, cold process soap, Fragrance Oils, Natures Garden and tagged beverage fragrance, beverage scent, candle making supplies, candlemaking supplies, cp phenomenal fragrances, cp phenomenal scents, cream soda fragrance, cream soda scent, delicious fragrances, delicious scents, effervescent fragrance, effervescent scents, fragrance oil, fragrance oils, fragranceoil, great scents for cp soap, how to stabilize discoloration, natures garden, scents for electric burners, scents with bubbly notes, smells just like cream soda, soap making supplies, soapmaking supplies, soda pop scent, unique fragrance, unique scent, yummy scent on June 23, 2014 by Deborah Ward. Considered a keeper by many of our clientele, this much adored fragrance oil is the true cream soda scent. If you have ever thought about adding a sweet, fizzy pop aroma to your homemade products, this is it! According to our customers, this cream soda scent smells just like old fashioned cream soda. 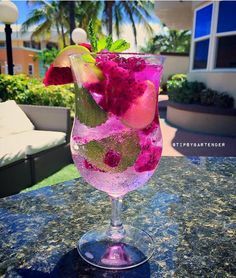 Working perfectly in candles, home scenting mediums, and bath and body products, cream soda scent is as one of our customers states “yum-i-ilous”. What does Cream Soda Fragrance Oil smell like? This fragrance oil by Natures Garden is an old fashioned soda shop classic having all the bubbly notes frothing over the glass with the truly characteristic, caramelized sugar and vanilla cream aroma. 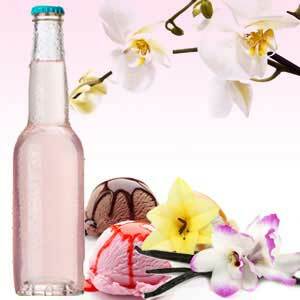 How do our customers use Cream Soda Fragrance Oil? For any bath and body crafters, this cream soda scent is amazing in products and is a big seller. The usage rate for this fragrance oil is 5%. It also contains a Vanillin Content of 7.7%, so Vanilla White Color Stabilizer is advised by our customers to stabilize discoloration in finished products. The wide variety of homemade products that customers use this fragrance to scent with are: spray lotions, whipped body butters, bath bombs, creams, melt and pour soaps, shampoos, and bath gels. Finally, for those of you that are cold process soapers, it is time to get very excited! Here are the official results: Perfect pour. No ricing, no acceleration. Creamy effervescence pops out when added to soap! Final discoloration to milk chocolate color. Nice and strong after cure. Phenomenal in cp! This entry was posted in cancer scents, candle making supplies, Fragrance Oils, Natures Garden, Soap making supplies and tagged body safe fragrance oils, Cancer fragrance oils, cancer personality traits, cancer scents, candle making scents, candle making supplies, candle scents, candlemaking supplies, cold process soap scents, comforting fragrances, comforting scents, creative spin on fragrances, creative spin on scents, fragrance notes for cancer, fragrance oil, fragrance oils, fragranceoil, happy birthday cancer, homemade, marketing ideas, natures garden, scents for cancer, soap making supplies, soap scents, soapmaking supplies, warm scents, what do cancers like, zodiac signs and scents on June 22, 2014 by Deborah Ward. 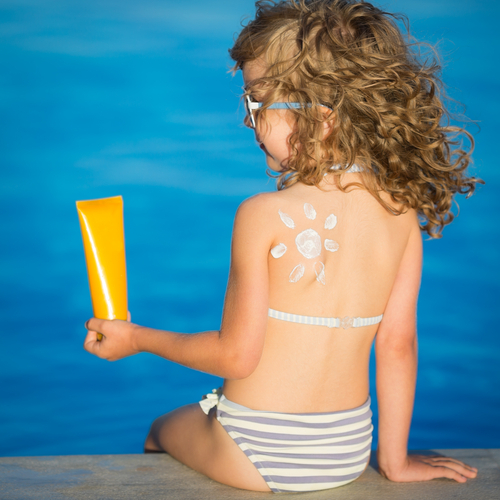 If there is one thing that Natures Garden knows besides fragrance oil, it is FUN! So, earlier this year, we decided to present fragrance oil and fun together in a unique presentation as to how specific fragrance oils respond to different groups of people. As for the official grouping, we selected to research the zodiac signs. From there, the investigation started with finding which specific aromatic notes appealed to the personality traits of each specific sign. And, this is where the FUN begins! Today, it is officially that time again to change the zodiac sign! Beginning June 22nd, the sign of Cancer tenaciously steps into their time to shine. The entire staff at Natures Garden would like to be the first to cordially declare “Happy Birthday Cancer!” And then affectionately welcome everyone to the comforting world of Cancer scents. 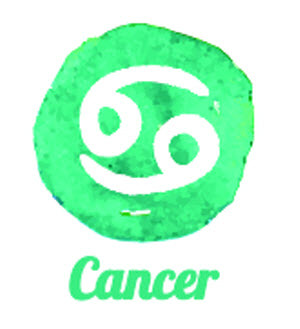 Cancers are considered people born between and including the dates of June 22nd and July 22nd. 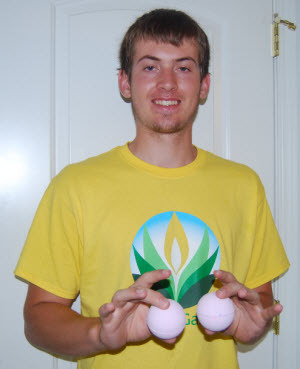 We currently have one staff member working at Natures Garden that has the sign of Cancer. Jenny in the order fulfillment department has a birth date of June 28th. Fitting the Cancer mold to a tee, Jenny has incredible perseverance, is extremely dependable, and is very family oriented. In fact, two of Jenny’s favorite past times are spending time with the family and researching genealogy. A true nurturer, she is very quick to help others, and has the capability to make you feel very comfortable when you are around her. Being protective, loving, and nurturing, this group of people are pillars in the family and friend units. Intuitive and imaginative, cancers also remain cautious and are prone to being emotional and private people. Cancers feel most at home when they are adorning scents that make them feel comfortable. This entry was posted in candle making supplies, cold process soap, Fragrance Oils, Natures Garden, Soap making supplies and tagged best scents for soap, best soap scents, body safe fragrance oil, candle fragrance oil, candle making supplies, candlemaking supplies, cold process soap scents, energizing aroma, energizing scent, fragrance oil, fragrance oils, fragranceoil, fruit scents, fruity scents, fun scents, home fragrance, homemade, house smell good, lye soap, mandarin tiki fragrance, mandarin tiki scent, natures garden, perfect pour fragrances, perfect pour scents, scents for soap, scents with good scent throw, scents with good throw, soap making scents, soap making supplies, soap scent, soapmaking supplies, summer fragrance, summer scents on June 22, 2014 by Deborah Ward. This energizing aroma is filled with complex and captivating notes. A perfect addition to your summer themed items, this fragrance oil is tropical perfection in a bottle. 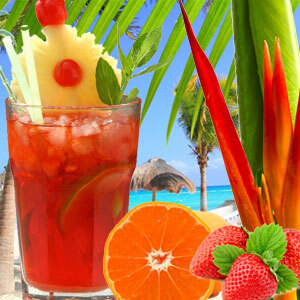 Mandarin Tiki scent has an extraordinary capability to send your senses on vacation. It is almost as if you can feel the warm sand between your toes. This energizing aroma will have your creative minds soaring with new and unique concepts to scent. 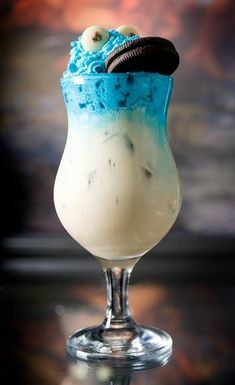 In fact, many of our customers say not only is Mandarin Tiki selling out products at craft shows, but it is making for repeat customers as well. What does Mandarin Tiki smell like? A luxury spa fragrance oil by Natures Garden! 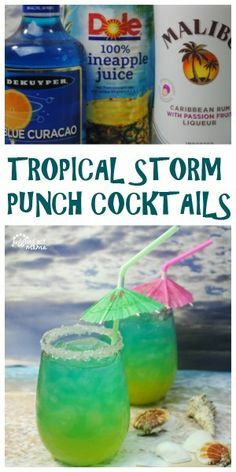 Imagine yourself lying in a hammock on the beach, while drinking a fresh Mai Tai. 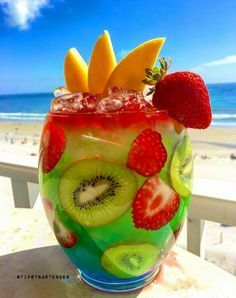 A fresh and energizing aroma that stirs the senses and brightens the spirit with its crisp citrus essence; Mandarin Tiki fragrance is an upscale, complex aroma of mandarin rind, red currants, strawberries, and blueberries; with middle notes of watercress and palm leaves; balanced with musky bottom notes. A Best Seller! An NG Original Fragrance! How do our customers use Mandarin Tiki Fragrance Oil? This energizing aroma works fabulous in candles and home scenting mediums. With the unique blend of citrus and berry, Mandarin Tiki Fragrance Oil really packs a punch in the air. Having great throw both cold and hot, this energizing aroma permeates. Used in an array of waxes like soy, soy blends, paraffin, WOW, Joy, and Pillar of Bliss, this scent is very strong. 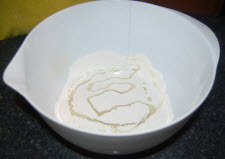 In fact, many customers who use soy in their candles comment on the amazing smell in the finished product. 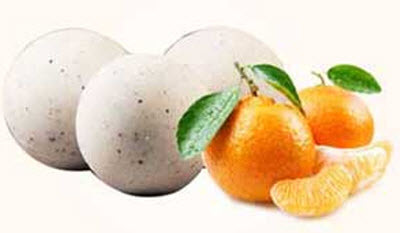 As for making your house smell good with this scent, Mandarin Tiki works very well for room freshening sprays, electric burners, aroma beads, and smelly jellies. On the bath and body end of things, this energizing aroma is delicious! The usage rate for Mandarin Tiki is 5%. This complex fragrance is used to scent a variety of items including: sugar scrubs, solid lotion bars, bath bombs, foaming body butters, spray lotions, perfume oils, melt and pour soaps, body sprays, bubble baths, and balms. Finally, for those of you that are cold process soapers, this energizing aroma is very well behaved. Here are the official results: Perfect Pour, no ricing, no acceleration, no discoloration, a very nice scent. This entry was posted in bath and body, Fragrance Oils, free recipe, herbs, Natures Garden and tagged adding epsom salt to hair gel, adding honey to hair gel, adding jojoba oil to hair gel, adding shea butter to hair gel, candle making supplies, candlemaking supplies, easy homemade hair gel recipe, flax seed hair gel, flaxseed hair gel, fragrance oil, fragrance oils, fragranceoil, free hair gel recipe, free recipe, hair gel recipe, homemade flax seed hair gel, homemade flaxseed hair gel, homemade hair gel recipe, how to make flax seed hair gel, how to make flaxseed hair gel, how to make homemade hair gel, make your own hair gel, natural hair gel, natures garden, scenting your hair gel, soap making supplies, soapmaking supplies, why do your soak flax seed on June 20, 2014 by Deborah Ward. 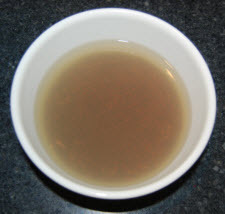 Making homemade hair gel has been on the creative teams list for some time now. 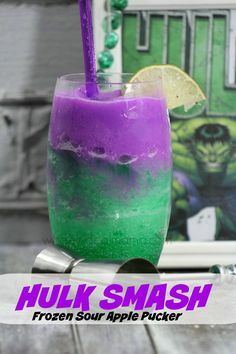 However, now knowing how easy this recipe is to make, we are overcome with all of the possibilities that this simple hair gel recipe provides. In fact, one of the best aspects of this natural hair gel recipe is that it can be customized specifically for your hair type. Through our research, we have found that there are 2 options when it comes to creating your very own hair gel. What it breaks down to basically is soaking overnight vs. boil time. 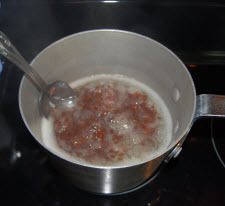 By soaking your flax seed the night before you decrease the amount of cooking time the hair gel is on the stove top. Soaking will also boost your gel output. This hair gel recipe is perfect for wavy or curly hair. Not only will this gel moisturize and help define the curls, but it will not leave your curls stiff or crunchy. There are currently 3 different versions of the hair gel recipe available on Natures Gardens website. They are Silky Hair Gel Recipe, Curl Pop Hair Gel Recipe, and Shea Butter Hair Gel Recipe. 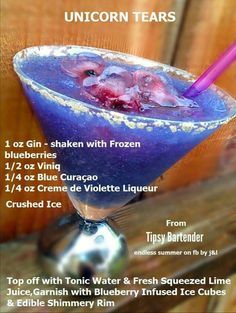 Each one is very easy to make and the recipes do vary slightly. Although each one of these recipes do call for a recommended fragrance oil for scent, you can use any body safe fragrance oil that Natures Garden carries. Just check out the Recommended Fragrance Usage for Bath Oils, Soaps, and Bath Gels (IFRA category 4) for the percentage rate of usage (located under the fragrance oil description area). So, if you are ready to give this really easy to make recipe a try, let’s get started! 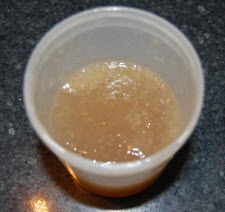 Today we will be making 8 ounces of Curl Pop Hair Gel. Step 1: Place your glass bowl onto your scale and tare out the weight. Then, carefully weight out 43 grams of flax seed and tare out the weight again. Next, to the bowl add 440 grams of distilled water. Using your mixing spoon, give these two ingredients a quick stir. Finally, cover the bowl and place it into the refrigerator overnight. Step 2: After your flax seed has soaked overnight, take the bowl out of the fridge. Remove the cover. 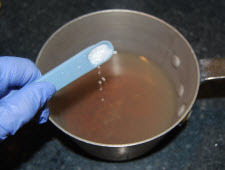 Using your spatula, scrap all of the mixture into your pot. Now, to the mixture weight out and add 3 grams of Epsom Salt. Once added, place the pot on the stove top and set the heat to high. Generously stir the mixture as it is heating. 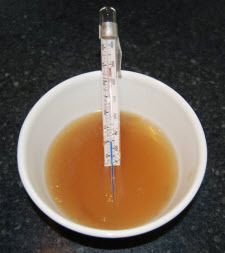 Step 3: Once the mixture is at a consistent boil, reduce the heat to a medium setting. Keep stirring the mixture. Step 4: Let the mixture cook for 5 minutes on the medium heat setting. 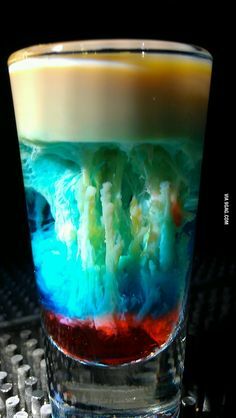 Remember to keep the mixture moving by stirring. 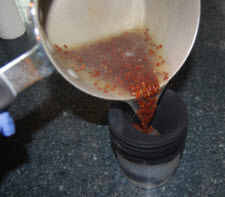 When you see the flax seed staying suspended in the mixture, remove the pot from the heat source and turn it off. Step 5: Now, get a container and place your brand new pantyhose over the opening. Carefully pour the gel into the hosiery. 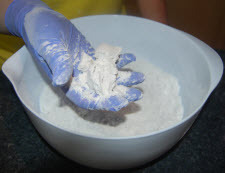 Once the mixture is all there, immediately rinse out the pot (this will save you scrubbing time later). Step 6: Caution the mixture is hot! Now, apply pressure to the pantyhose to strain out as much gel as possible (if you use tongs, just be careful not to put a run in your pantyhose). 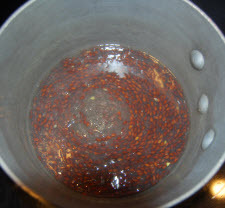 You will notice that you really have to apply force to get the gel out among all of the flax seed. When finished, remove the pantyhose. 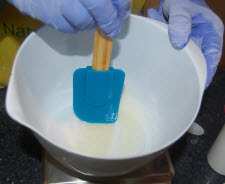 Step 7: To make this step less messy, we transferred the gel back into the mixing bowl. Temperature is very important to this step, so place your thermometer in your hair gel now. Once the temperature of the gel reaches 120 degrees Fahrenheit, quickly add 3 grams of Optiphen and 13 grams of NG Biolage Matrix Type Fragrance Oil. 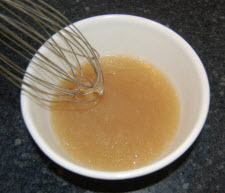 Step 8: Slowly and carefully, use your whisk to incorporate the fragrance oil and Optiphen into the gel. 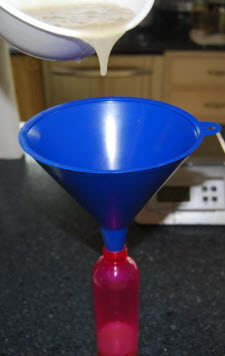 Step 9: Once the hair gel has cooled, place your funnel into your bottle, and fill. Then, lid with a pump. Your Curl Pop hair gel is now ready to use. 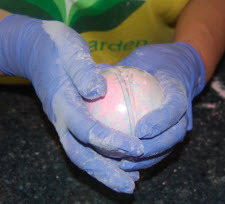 Simply pump the gel into the palm of your hand and apply as you normally do. You are going to love how great your hair smells and looks all day long! This entry was posted in bath products, candle fragrance oils, cold process soap, Fragrance Oils, Natures Garden and tagged best selling summer scents, best soap scents, best summer scents, candle fragrance oil, candle making supplies, candlemaking supplies, classic fragrance, classic scent, classic summer scents, classic summertime scent, clean scents, crisp scents, cucumber & melons scent, fragrance oil, fragrance oils, fragranceoil, fruit scents, fruity scents, good scents for body products, good scents for candles, home fragrance, house smell good, juicy aroma, juicy fragrance, juicy scent, mouth watering aroma, natures garden, perfect pour scent, smells like summer, soap making scents, soap making supplies, soap scent, soapmaking supplies, summer fragrance oils, summer fragrances, summer scents, sweet scents, top selling summer scents on June 19, 2014 by Deborah Ward. A classic and favorite summertime aroma, Natures Gardens Cucumber & Melons Scent is a crowd pleaser. Known for having the perfect harmony of cucumber and melon aroma; this fruity scent is bright, fresh, and clean. This great girly scent is a classic, and many of Natures Gardens customers claim this cucumber & melons scent is a bestselling summertime aroma. A delicious and juicy fragrance to scent your homemade products in; this well know aroma is exactly what people are looking for this time of year. What does Cucumber & Melons Fragrance Oil smell like? This fragrance oil by Natures Garden is an aroma of sweet and sour cucumber and a deep green oily note with hints of violet, with a background of sweet, freshly sliced honeydew melon. A Best Seller! 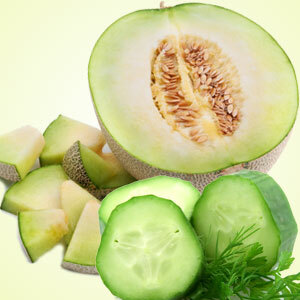 How do our customers use Cucumber & Melons Fragrance Oil? For candle creators or anyone that wants to make their house smell good; our customers use cucumber & melon scent in their soy waxes like 464, Joy wax, pillar of bliss, Palm wax, and WOW wax. The scent throw of this cucumber & melon scent is amazing. You can even smell the cucumber! As for home scenting ideas; this juicy fragrance has been used to scent: reed diffusers, oil burners, smelly jellies, and room refreshing sprays using odor eliminator. On the bath and body end of products, cucumber & melons scent is always a top seller. The usage rate for this fragrance oil is 4%. 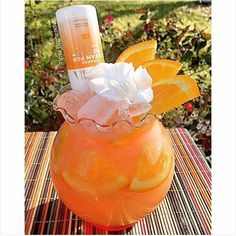 This refreshing fragrance is used to scent: melt and pour soaps, body sprays, whipped body butters, lotions, bath salts, creams, and body scrubs. And, for those of you that are cold process soapers, this juicy and amazing scent allows plenty of time to play! Here are the official results: Perfect Pour, no ricing, no acceleration, scent is awesome, fresh, clean, and crisp, a great addition to your cp line. No discoloration. This entry was posted in bath and body, candle making supplies, Fragrance Oils, Natures Garden, Soap making supplies and tagged apple fragrance oil, apple scents, bar soap scents, best soap scents, candle fragrance oil, candle making supplies, candlemaking supplies, crisp scent, fragrance oil, fragrance oils, fragranceoil, fresh apple fragrance, fresh apple scent, fruity scents, great apple scent, home fragrance, homemade soap, house smell good, natures garden, oil diffuser scents, popular scent, scents for soap, soap making scents, soap making supplies, soapmaking supplies, strong apple fragrance, strong apple scents, strong candle fragrance, strong candle scent on June 18, 2014 by Deborah Ward. With this fresh apple scent in the air, it will be as if you were visiting an apple orchard. Bursting with the crisp and unforgettable scent of just picked apples, Apple Orchard Fragrance Oil is perfect for anytime of the year. This best selling fragrance is mouth watering and works extremely well in homemade products. Simply adored by all apple lovers, many of Natures Gardens clientele feel this is the perfect apple scent that they have sought after. Used straight or as a mixer, this fresh apple scent is considered a 5 star keeper! If your customers are looking for a fresh and fruity scent that reminds them of the sun kissed days of summer, this fresh apple scent is it. What does Apple Orchard Fragrance Oil smell like? This fragrance oil by Natures Garden is a perfect combination of Cameo, McIntosh, Red Delicious, Fuji, and Granny Smith apples. So refreshing, you will think someone just peeled a fresh apple in your house. Now with an even stronger scent throw! A Best Seller! 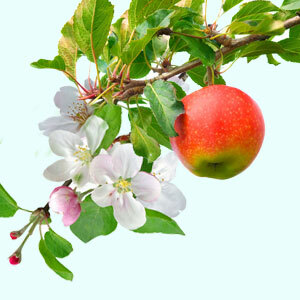 How do our customers use Apple Orchard Fragrance Oil? For anyone who is a candle crafter or home scenter; this fresh apple scent is used in Soy, parasoy blends, paraffin, WOW, Palm, and Joy waxes. This very aromatic scent is crisp, clean and has incredible hot and cold scent throw. In fact, Apple Orchard Fragrance Oil was selected by our customers as one of the top soy candle scents based on performance! As for home scenting ideas with this fresh apple scent, it also works amazingly well in electric warmers, reed diffusers, smelly jellies, and sachet beads. For bath and body crafters, this fragrance is perfectly apple! The usage rate for this fresh apple scent is 5%. Apple Orchard Fragrance Oil is used to make an array of body products including: shower gel, solid lotion bars, bath bombs, sugar scrubs, lotions, melt and pour soaps, body sprays, foaming hand soap, and whipped body butters. Finally, for those of you that are cold process soapers, this fragrance is crisp. Here are the official results: Slight acceleration. Nice scent. No discoloration. If you are interested in a Natures Garden recipe using this fresh apple scent, please click on this link to view the Pure Soy Wax Candle recipe. 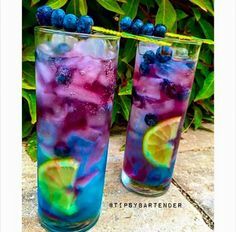 This entry was posted in bath and body, candle making supplies, Fragrance Oils, Natures Garden, Soap making supplies and tagged bath and body recipe, bath fizzies recipe, best summer recipes, candle recipe, cosmetic recipes, creative team, favorite recipes, fragrance oil, fragrance oils, fragranceoil, free recipes, how to make a beach candle, how to make a natural sugar scrub, how to make a smores candle, how to make natural blush, how to make scented nail polish, how to make shea lotion, how to make sugar scrub, how to make watermelon soap, melt and pour soap recipe, natures garden, soap recipe, summer recipes, summertime recipes, watermelon soap recipe on June 17, 2014 by Deborah Ward. The creative team at Natures Garden works diligently everyday creating tried and true recipes for crafters to try. Whether you are looking to dabble, just starting out, or wanting to try something new; these recipes offer uniqueness, fun, and as always strong and incredible scent. If you have not seen Natures Garden’s free recipes and classes page, please click on this link. There you will find hundreds of free recipes for you to use. Each recipe is categorized accordingly to make it easier to find exactly what you are looking for. We however wanted to help spotlight some of our favorite summertime recipes. These recipes have the theme of summer whether it is through the use, the scent, or the concept of the recipe. After polling the Natures Garden staff, the votes are in and have been tallied. So, without further adieu; here is Natures Garden’s top picks for best summer recipes and why they are so loved! These highly recommended summer recipes are bursting full of summertime fun. Each one is hyper linked to the individual recipe where will find all of the supplies, weights, and steps.